If you’re anything like me, early on in the planning process I was trying to decided whether I needed a planner or not. The answer is definitely yes. It is absolutely worth it. Not only for the planning process, but also during your special day for execution. Look no further, because Events by Seven is the best. Marsha Campbell is unlike any other. We were so blessed to have her by our side during the entire process and she was an AMAZING planner that coordinated a wedding better than I could’ve ever hope or imagined for. Her attention to detail, precision, ability to listen, and style are unmatched. Words cannot describe how wonderful she and her team are. We hired her from day one of planning through the day of and if I were to do it again, I wouldn’t do it any other way. She is extremely personable, professional, and will always put you and your significant other above all else. I cannot say enough about her ability, skills, and talents except that I am sad the planning process is over. We had such a great time working together and she is the reason our day went so smoothly and was so perfect. Definitely an amazing person and team! Marsha Campbell is amazing! She took the stress out of my daughter and I wondering how I was going to complete all the tasks related to my daughters big day. She is extremely organized and punctual and gave us the confidence that she had each and every day under control up and thru that special day! The wedding was so beautiful and perfect! Marsha is a top notch planner and we were so blessed to have had her planning this event. She always went above and beyond to assure she had everything under control. Professional & Personable Wedding Planner! Working with Marsha, from Events By Seven, was one of THE BEST decisions that I made at the beginning of my wedding planning process! While I had some great ideas of what I wanted, I most definitely would not have been able to accomplish them without the help of her and her team. Marsha is extremely friendly, kind and easy to work with, reliable, fun and always able to find a great solution if things don't go according to plan. With her help I know my husband and I were able to save on wedding vendors we used and options we took to make our wedding day the most amazing and memorable event ever! I would recommend Marsha, and the Events By Seven team, to any Bride & Groom who are looking for someone dependable, who will be both professional and personable, on their wedding planning journey! She deserves all 5 of her stars! Events by Seven is a MUST for your wedding planning experience! Working with Marsha and the Events By Seven Team was such a blessings! Marsha was professional, personable, organized and extremely sweet. From the first introduction, to the wedding blueprint, wedding rehearsal, and the BIG DAY, we were extremely pleased with her services! If you're looking for a seamless process for planning your wedding, you should definitely check out Events by Seven! Where should I start... 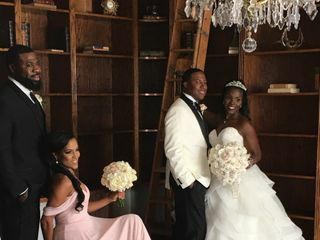 I do not think I can summarize into words the amazing experience I had with Marsha and her team at Events By Seven for my August wedding. Marsha took my vision and truly made it something special for Robert and I. She was able to find vendors that matched my preference for my theme of having a fun, classy and beautiful Caribbean themed event to honor my husband's culture. Marsha went above and beyond to put my needs before vendor requests and wants. When I did not feel comfortable with a particular decision that had been made my a vendor she came to my defense and worked hard to provide me with the service I deserved. As many know with the Jamaican culture things do not always start on time lol and on the day of my wedding this was the case as well. Marsha was able to salvage the timeline and everything came out perfectly. I've already told Marsha she will be planning all major life events from this moment forward :-) Wishing Marsha and Events By Seven all the best. If you are looking for an AMAZING planner, search no further. Marsha Campbell with Events by Seven is the ultimate planner you need!!!! Marsha came to my rescue 60days before my wedding at Lake Mary Events center in Lake Mary Florida. To date, I am wondering why I met her so late. Oh my gosh, she is a Gem! !, the epitome of professionalism, elegance, and excellence. Her love for God and the business seeps out of her every pore and her amazing smile is contagious. My only surprise was the revelation that someone so amazing exists but other than that, you know exactly what to expect from her. She is always punctual, respects you as a person, celebrates with you as if the event was her own while ensuring that your vision remains the focal point of the event and becomes the reality that you seek. She has this innate ability to maintain composure and bring about calmness despite the level of chaos . She is a great communicator, shows outstanding attention to detail, always open to constructive criticism, yearns for continued growth and always seeks to improve even when there seems to be no more room for improvement. 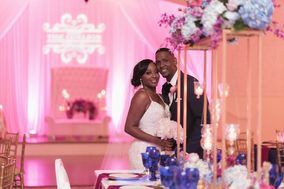 There is so much to say about Marsha and her team however I will stop by saying I could not have had a better planner and a better experience and I am positive that you will too if you hire Events by Seven. Kayli, my heart is full in every way as I read this review. I am experiencing every wave of emotion from joy to happy tears. Not only was I humbled when you hired our company, but I was excited - very excited. I have used Events by 7 for many of my parties and special events. I have alway found them creative, attentive and most of all professional. I will be using them for my next event. Where do I even begin? From the very first email and call I had with the team until now, almost a week after my wedding, I have felt at ease thanks to Events by 7. I couldn’t have asked for a more perfect match in a wedding planner and coordinator. Marsha knows her stuff and will do everything in her power (and beyond) to make your wedding day dreams a reality. Events by 7 was recommended to me by my venue as I was planning my wedding from out of state. When I first spoke to Marsha on the phone I knew it was a match made in heaven. Her laugh and positive spirit are infections and she quickly became someone my fiancé and I consider a friend. She listened to all of our wants and needs no matter how outlandish and did and amazing job helping us incorporate every one of them into our wedding. Her recommendation for vendors were always on point because she truly got to know the styles of me and my fiance and was able to find, suggest, and solidify vendors with us with ease. What I adore about Marsha is her passion and drive. 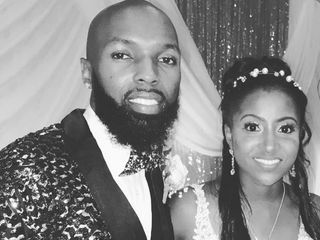 She really puts everything she has into planning your wedding and creating a relationship with you so you're able to keep it real. By the time my fiancé and I got to the tastings, it felt as though we were three friends simply tasting and reviewing foods. Every single experience and encounter I had with Marsha was absolutely wonderful. Marsha was there with us every step of the way and on the wedding day, I had not a care in the world because I knew that she and Ashley had everything taken care of. Seriously, do yourself and your nerves a favor and book Events by 7 today, you won’t be disappointed. Events by 7 are amazing party planners with great eye for detail!! Marsha handled a corporate event on the beach for us and was wonderful to work with. She was so professional, has a wonderful personality, and really cared about making the event a success. She's fun to work with and rolls with the punches - cannot recommend her enough. Marsha has the empathy and fortitude to facilitate just about anything. Her family went through a hurricane planning our wedding. And we are not easy people. Choose her. You will not be sorry! I wanted to create a glittery garden theme for my wedding. I bought a bunch of stuff that I had no idea what to do with and Marsha took it above and beyond. During the planning, she was prepared and handled so much. I truly don't know what I would do without her. Her team the day of the wedding was wonderful and encouraging. If anything was going wrong I didn't know it. The perfect day and it's all thanks to Marsha. Very pleased with Events By 7 and Marsha specifically. We were planning our wedding from a different state and she took care of everything and ensured my wife's vision of our special day was met. Marsha is Amazing at what she does. she takes good care of all my brides and vendors. My husband, Rich and I are so grateful to have had the opportunity to work with Marsha and the entire Events by 7 team for planning our dream wedding. Marsha and her team were extremely professional and provided quality customer service. Marsha was awesome, she listened to me, took my vision and gave us the most beautiful wedding day ever. She pulled in all the right vendors together and our day was nothing less than PERFECT. In the 2 years of our planning, she became our counselor, friend and a part of our family. I will be forever grateful to have had her as our wedding planner. 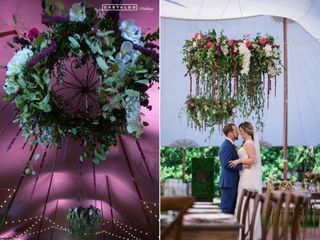 We received wonderful feedback from family and friends on how lovely, professional, and creative the decorations were...We have already recommended Events by 7 to our family friends! We Thank you Again!!! Marsha was a great help during the wedding! She had great ideas and input that I would never have thought of! She also helped relieve a lot of stress during the day of that let my groom and I to fully enjoy our day. Marsha and the entire Event by 7 crew was amazing and extremely helpful throughout the entire process and made our day so easy to focus on us and less on the small things that always go wrong. They were a huge hand in keeping everything calm and made sure it fit with the days schedule, even when something went wrong like the brides parents being late to the ceremony so we had to move everything back a half an hours. Marsha help us keep everything paced well and let everyone involved know the time changes. I can't highly recommend her and her crew more. Marsha and her team were fantastic. I booked her after a phone call for the day of coordination (which is really a month). When I finally met her in person, my Mother in Law and I were very happy with Marsha's organization and the tips and tricks she shared with us as we walked her through everything we had already planned. On the wedding day, she was great. I even got compliments from guests who said Marsha show them how to do some of the coordinated dances (i.e. "the wobble). Marsha went above and beyond in many ways. Hire her. You'll be happy you did. Marsha Campbell was an absolute delight helping me plan my wedding. She is patient and personable and helped me achieve my wedding vision. She's so organized and professional. And that was something that is vital in planning a successful wedding. I had the most perfect wedding and it was all due to Marsha's amazing wedding planning skills. I loved working with her so much, I almost wish I could plan a wedding every year!!! Thanks Marsha for being so fantastic!!!! Don't hesitate to pick Events by 7!! Events by 7 brought their A-game! They were able to put together the wedding JUST AS I PICTURED it. I met Marsha one time and we knew after that one meeting that she would be our day-of coordinator. Her team was awesome and they made sure our wedding day went SO smoothly. Marsha was always responsive, helpful, supportive, kind, knowledgeable, professional, and just so down to earth. I appreciate all the correspondence and her effort. I feel she went over and beyond to make me and my wedding special. I truly cannot imagine our wedding without Marsha and her team at Events by 7! Marsha has such great attention to detail and did an amazing job of turning all my little decor bits and pieces into something truly beautiful and cohesive. We had some bumps in the road with our venue, and Marsha was there to help us every step of the way in the form of her top-notch organizational skills and genuine caring and support. I can't recommend her enough! My husband and I live in Seattle and were planning our wedding in Florida. We hired Events by 7 to help with planning given the time and location differences and the size of the wedding. Marsha was resourceful, organized and professional. Nearer to the big day, I was frequently surprised by how much work had already been done in the background- working with other vendors, planning, research, coordination. The team did really well on the big day. All the efforts paid off! We are very happy we selected Events by 7. The morning after we got engaged, my hubby asked me “You’re hiring a wedding planner, right?” Marsha, owner of Events by 7, was such a God-send for us. From our initial phone call to post-wedding wrap-up, she was a joy to work with. The entire wedding planning experience was stress-free – I felt confident that she was on top of everything. As someone who has occasionally listed “organizing” as a hobby, I loved her approached – checklists, timelines, vendor referrals, follow-ups, walk-throughs, mock-ups. As I said – on top of everything!! And what made it even better is that she’s such a wonderful person. I even had guests comment to me after the wedding about their interactions with her. I’m truly thankful to have found Marsha and look forward to working with her again in the future – birthday party, baby shower – not sure yet, but I’ll come up with something!